Nor shy about self-branding is this Rover Wheelchair Handicapped Shopping Cart design. 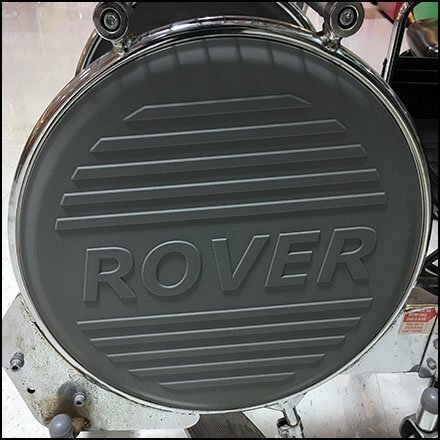 The large circular Rover icon echoes the large wheel design of the wheelchair. Other casters are also oversize hinting movement and maneuverability are well served. This Rover Wheelchair Handicapped Shopping Cart seen at the 24-hour Giant, Bartonsville, Pocono Mountains PA.